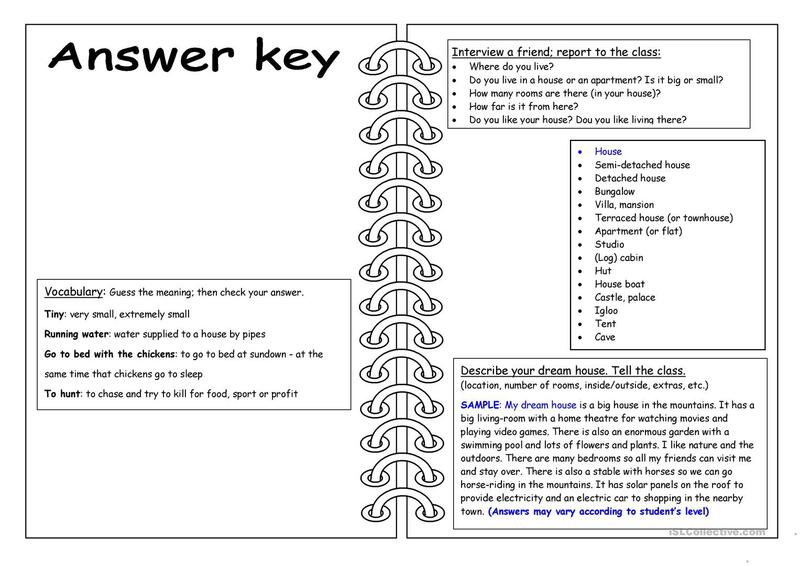 Four skills worksheet focusing on houses and living. The present downloadable printable is intended for high school students and elementary school students at Elementary (A1) and Pre-intermediate (A2) level. It is great for consolidating Questions in English, and is useful for improving your class' Speaking and Writing skills. It is about the theme of Home. It includes a key, too.